Washington, March 21 (IANS) The US on Wednesday announced the suspension of premium processing of all H-1B visa petitions for fiscal year 2019. The US Citizenship and Immigration Services (USCIS) said the temporary suspension would help reduce the “overall H-1B visa processing time”. The H-1B petition filing is for the fiscal year 2019 beginning October 1, 2018. “We will notify the public before resuming premium processing for cap-subject H-1B petitions or making any other premium processing updates,” the federal agency said. It also announced petitions for H1-B visas will be accepted from April 2. Indians get most H1-B visas although there are no national quotas for the facility nor is it specifically designed for Indians. The suspension of premium processing of all H-1B petitions, subject to the annual cap, is expected to last until September 10, 2018. 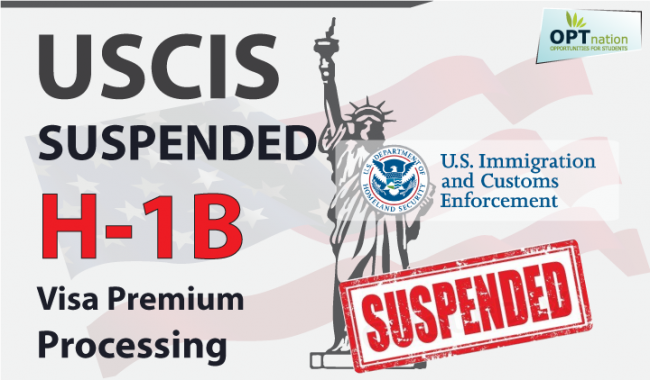 The USCIS said that during this time “we will continue to accept premium processing requests for H-1B petitions that are not subject to the fiscal 2019 cap. “While premium processing is suspended, a petitioner may submit a request to expedite an FY 2019 cap-subject H-1B petition if it meets the Expedite Criteria. The USCIS said it was currently unable to process due to the high volume of incoming petitions and the significant surge in premium processing requests over the past few years.